Striving to improve the overall health of Cayuga County residents by developing and sponsoring prevention and health promotion programs and addressing access and service needs of the community. When Cayuga Community Health Network determined that their logo and rack cards needed an update, they turned to Crème della Crème Copywriting & Communication to capture their organization’s mission and voice. The staff expressed that the new logo embody movement, people, community connections, health, and nature. 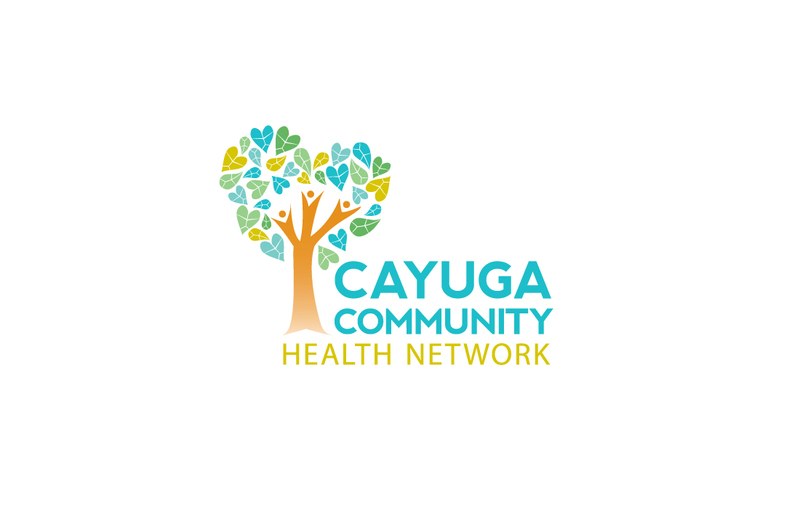 The Cayuga Community Health Network logo is multifaceted. The tree branches and leaves represent the multitude of people that make up the Cayuga County community. The leaves are intermixed with hearts to signify health and the tree is a nod to the ways in which we are all connected. The unique pattern of leaves makes the tree appear to be moving in the breeze.